When I first looked at the movie poster, I thought that it was just a typical football movie that would mostly attract men. I watched this movie when I was in an airplane to New York. I was bored, and I wanted something that would make my flight interesting. Fortunately, and thanks to the movie, the Blind Side, my flight did become interesting. I plan flight went much faster than I had thought. 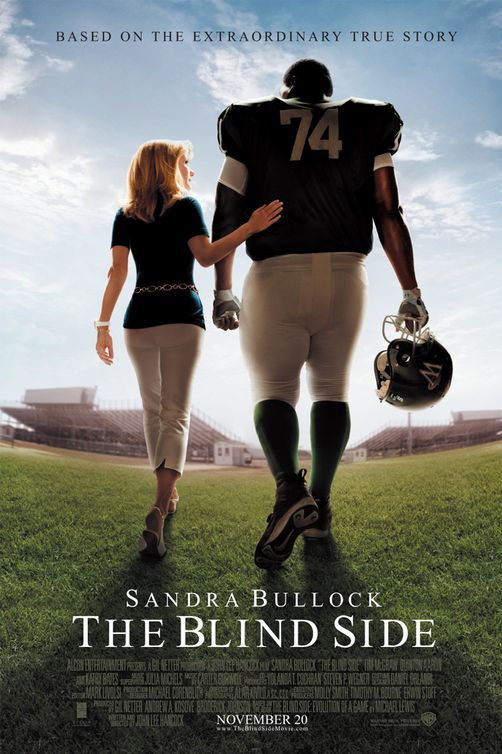 The Blind Side is an American drama-sports film. It is based on the book called The Blind Side: Evolution of a Game written the Michael Lewis. The movie not only got popular among people but also gained many awards, such as Academy Award, Critics’ Choice Award, Golden Globe and People’s Choice Award. This movie is based on a true story of Michael Jerome Oher. He is an American football player in the National Football League. He lived a life of an homelessness. When we are young, our parents help us to grow healthy. They make healthy food and provide comfortable home for us. Also, they praise us be pride of us. Also, when, we are depressed and gloomy, the parents comfort us with sweet comments and food. However Michael Oher did not have his real family. He was alone when he was sad and depressed. By looking at this movie, I was able realize how lucky I was.